If the 3,000 foot climb up Kendrick Mountain doesn't leave you panting, then sweeping views from the peak will surely take your breath away. At the trailhead parking lot, you’ll see a paneled sign detailing the Kendrick Mountain trail system. Three trails lead up to the fire lookout tower, with the Kendrick Mountain Trail being the most direct route. The trail starts to the right of the sign and heads northeast through a forest of scarred ponderosa pines. 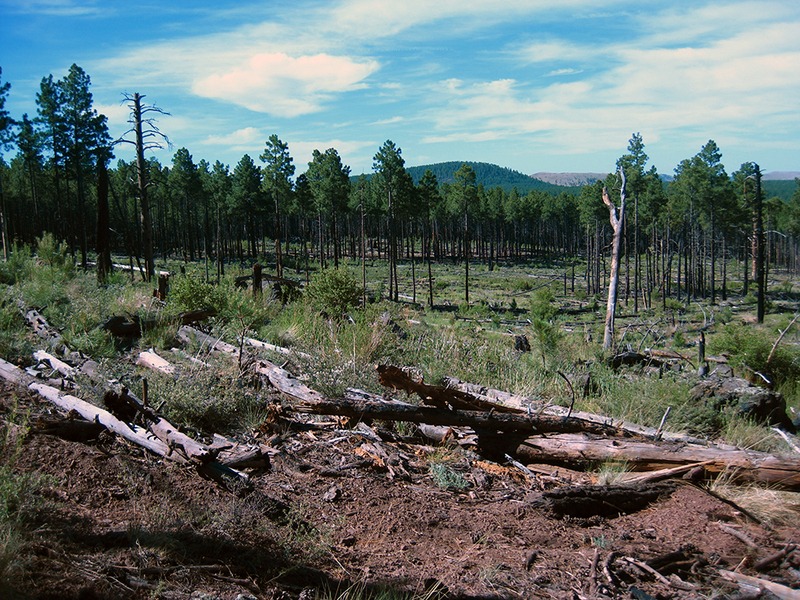 Blackened trunks and stumps remind hikers of fire’s destructive force, as over 14,700 acres of the forest burned in the Pumpkin Fire in May 2000. 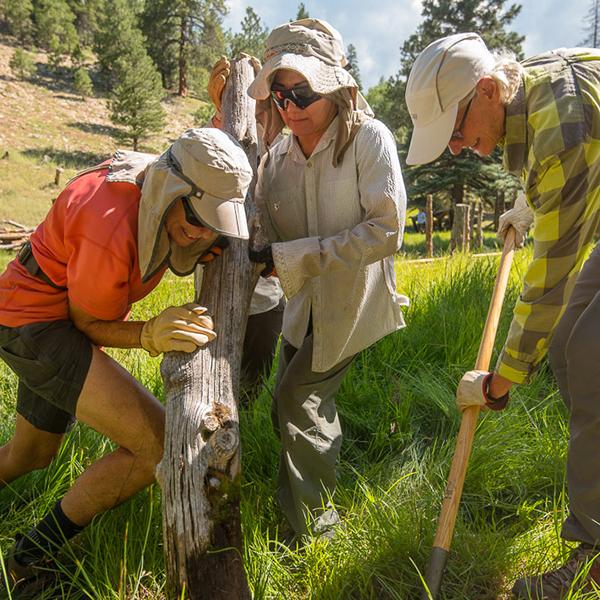 As the trail winds through pockets of fire damage that are now recovering, it begins contouring a small drainage that you’ll cross in the first half mile. Charred, fallen trees line the trail, making it easy to follow while climbing a steady grade. 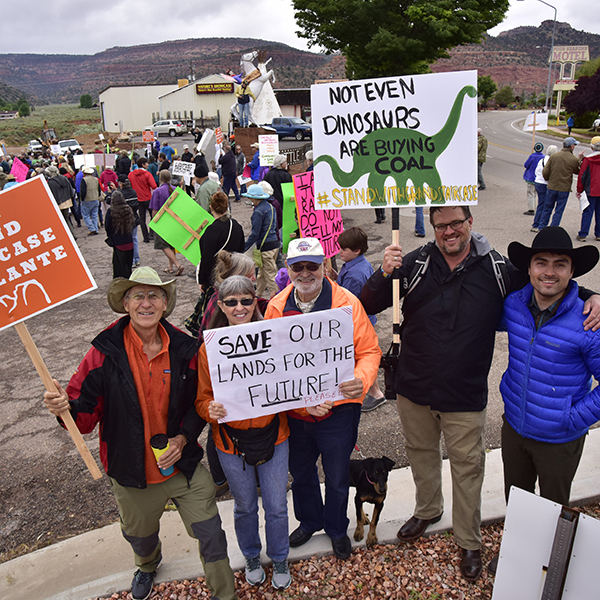 You get a glimpse of the San Francisco Peaks to the east after just 0.4 mile and soon after that you get your first clear view of Kendrick Mountain, the leftmost peak at the top of the drainage. 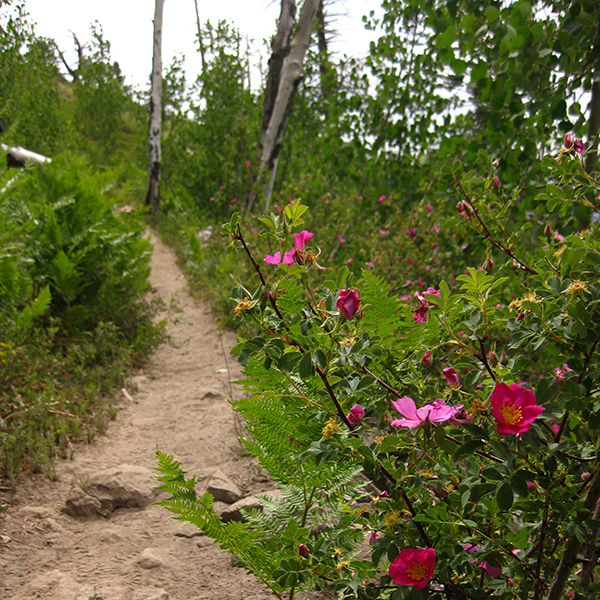 Midway through the switchbacks, note the change in soil color. Because Kendrick Mountain is a lava dome, the soils indicate the mountain’s volcanic history. Near the beginning of the hike the path has a reddish tint, as the underlying rock is basaltic cinders. Higher on the mountain, the lighter color indicates a pumice-based soil. Think of the stone you use to rub off the hiking calluses on your feet. After the trail crosses over to the right side of the drainage, you’ll begin the final switches up to the saddle. 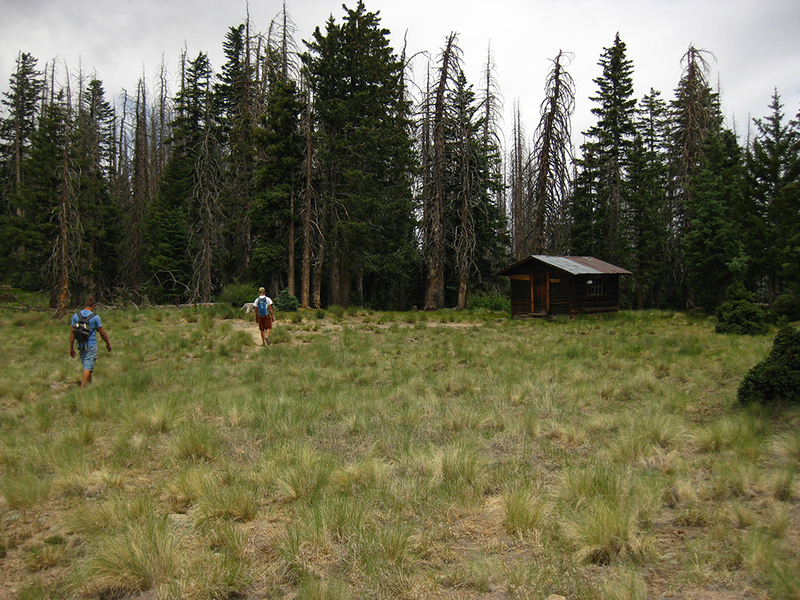 Here, you’ll cross a flat meadow at 4.5 miles with an old cabin tucked amongst the spruce and fir trees. This log cabin, listed in the National Register of Historic Places, dates back to the early 1900’s when the fire lookout used it as a home. 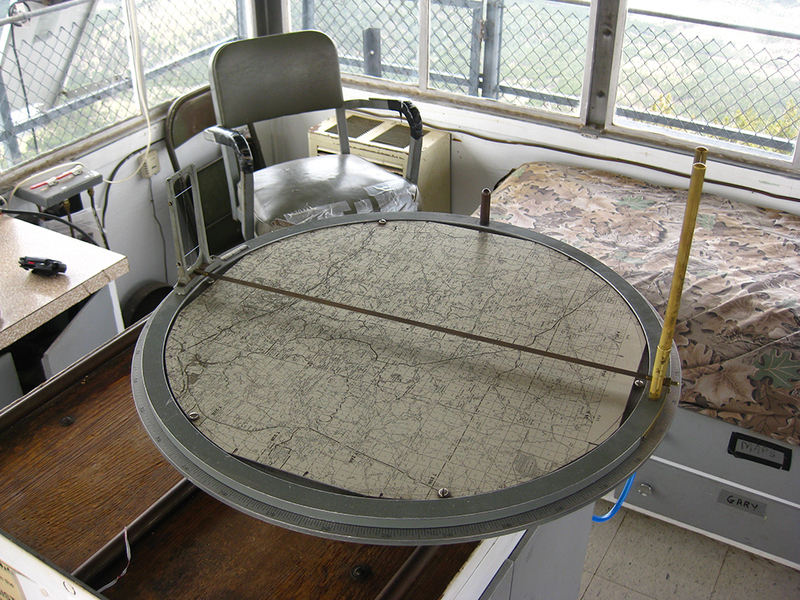 Today, the Forest Service no longer uses the cabin, but the open door is an invitation to explore 20th century relics left behind by the former lookout. Be sure to leave a note in the trail log, which sits inside on the wooden desk. Please don’t remove any of the objects, which are protected under the National Historic Preservation Act. Several foot trails lead from the back of the cabin into a small clearing. You’ll find log benches and a fire ring, though be aware of possible fire restrictions during dry months (May-early July). Bull Basin Trail crosses over to the north slope of the mountain from here, but the final ascent of Kendrick Mountain involves climbing a few more switchbacks on the east side of the peak. Follow the sign that points toward the Kendrick Lookout, and you’ll be at the summit after just another half-mile of hard work. A fire look out tower sits at the top of Kendrick Mountain. During the summer, a uniformed ranger lives and works in the glassed-in tower, keeping an eye out for “smokes” and communicating with other lookouts in the region. If a ranger is on duty, stop and visit. He or she will likely welcome visitors, since the only people they see during the week are hikers. If you’re lucky, you might even get a tour or demonstration of triangulating a fire location/position with an instrument called an alidade. 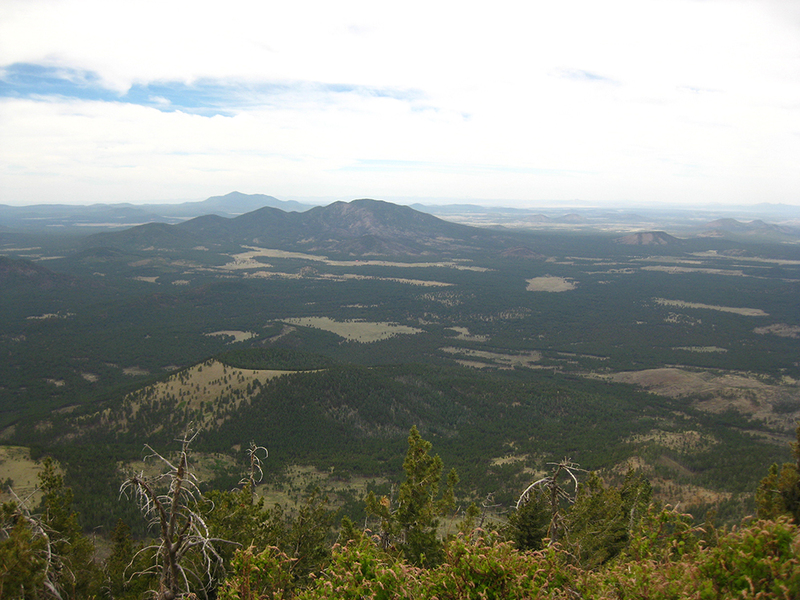 From the summit, you’ll have expansive views of the western portion of the San Francisco Volcanic Field which has more than 600 volcanoes stretching from Seligman to several miles east of Flagstaff. Like Kendrick Mountain, Sitgreaves and Bill Williams mountains are lava domes, created when viscous lava bulged upward. 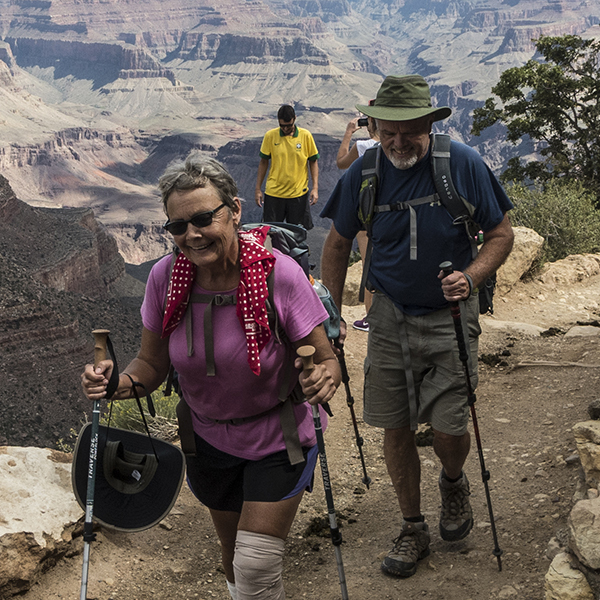 After taking a break, eating snacks and drinking water, talking with the ranger, and enjoying the vista, return to the trailhead back the way you came. From Flagstaff, head north on Hwy 180. Drive 14.5 miles on this road, passing Arizona Snowbowl on your right and Wing Mountain Snow Play Area on your left. Just past mile marker 230, turn left onto FR 245. Continue along this gravel road to a junction with FR 171 (17.5 miles), where you’ll turn right towards the Kendrick Mountain trailhead. Stay straight on FR 171 when FR 193 joins in from the right (18.6 miles). Cross the national forest boundary (19.2 miles) and drive for another 1.5 miles before turning right onto FR 190. At 21 miles, you’ll arrive at the trailhead, which is a dirt parking lot with pit toilets trash and recycling cans, and a trailhead sign.